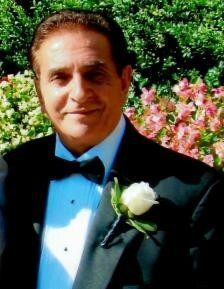 Obituary for Frank Tarone | Pleasant Manor Funeral Home, Inc.
Frank Tarone of Valhalla, New York passed away at his residence on Monday, February 4, 2019 surrounded by his loving family. A native of Monteleone Di Puglia (Foggia) Italia, Frank was the only son of Michele and the late Angela Tarone. His sister Carmela and himself were fortunate in having a loving Stepmother Maria who together with their father raised them in a traditional nurturing "Italian" environment. As a young boy Frank spent four years in a teaching monastery studying Latin, Greek, French and Italian with the Pardi Barnabiti Order near Rome. At the age of sixteen, he immigrated to America with his father and enrolled in night school to study English and worked during the day as an apprentice within his multi-generational business. In 1958, together with his father and his cousin, they pooled their resources to open a lawn mower business, In October 2018, Frank celebrated 60 years as the sole proprietor of Central Mowers in White Plains, Servicing local gardeners, landscapers and fellow homeowners. He was a long time member of the NY Turf and Landscape Association and served as the Chairman of their Conference Group for many years, in the interest of maintaining his Italian heritage, Frank joined the Order Sons of Italy in America Antonio Meucci Lodge #213 in 1978. Over the past 40 years, he has been a very active dedicated Lodge member. Frank was elected President in 1986, and re-elected by acclamation of the general membership in 1992, using his tenure as President, Frank accomplished many of his objectives that helped enhance the Lodge's prestige within the community of White Plains. One objective that Frank was intent on during his administration was to finish paying off the Antonio Meucci's bonds, and mortgage. That was successfully done in 1990 and all the Lodge members participated in the ceremony of the "burning of the bonds". Frank has held many positions on the Executive Board of the Lodge, as well as served as President of the White Plains Columbus Day Parade and Chairman/Co-Chairman of the Journal for the Annual Columbus Dinner Dance. In 1994 he received the Westchester Community College's Italian Clubs Leadership Award. Also, in 1994 he was unanimously chosen by his Lodge to receive the B. Albert Rosselli Citizenship Award for his lifelong dedication and service to the community. In March 2009, he was recognized by County Executive Andrew Spano for his hard work and dedication as President of the White Plains Columbus Day Parade and Chairman of the Line of March, and most recently on October 21, 2018, he was recognized along with other Past-Presidents of the Antonio Meucci Lodge #213 by the Grand Lodge of New York for his untiring efforts and devotion to the Order Sons of Italy in America. Frank is survived by his wife Camille Tarone, and is the proud father to daughter Angela Kupferschmid (Mark) , son Michael Tarone (Marie) and grandchildren Elena Tarone, Luke, Lauren and Ryan Kupferschmid, sister Carmela Aldorasi (John), and brother-in-law Philip Buffalino (Jennifer). Frank is also a loving Uncle to Johnny, Steven, and David (Tasha) Aldorasi, Michael Gaull, Angelina and Rocky Buffalino. In addition, he is a devoted and loving Uncle to many other "nieces" and "nephews" who lovingly called him Uncle Frank or Pop Pop . Frank is also a loving cousin to many and always cherished his relationships with his extended "family" as well as all so many devoted friends and Brothers and Sisters from the Orders Sons of Italy. Family and friends are invited to Pleasant Manor Funeral Home, Inc. 575 Columbus Avenue Thornwood, New York 10594 on Thursday, February 7, 2019 from 2:00 - 4:00 and 6:00 - 9:00 Pm to celebrated Frank's life. A Mass of Christian Burial will be celebrated for Frank at Our Lady of Mt. Carmel Church in White Plains, New York on Friday, February 8, 2019 at 10:00 AM. Interment will follow at Mt. Calvary Cemetery in White Plains, New York.